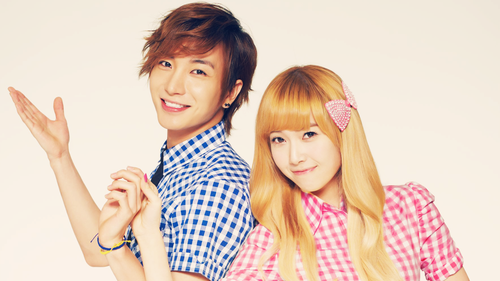 Leeteuk & Jessica. . HD Wallpaper and background images in the Super Junior club tagged: super junior leeteuk jessica snsd. 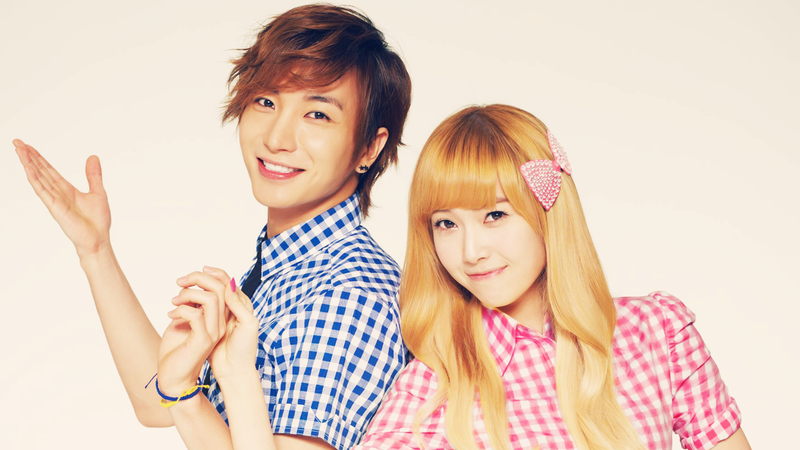 This Super Junior wallpaper contains ritratto, headshot, primo piano, and closeup. There might also be biancheria da notte, pigiami, pigiama, nightclothes, chemise, sacco, spostamento, shift, ben vestito persona, vestito, vestito di pantaloni, tailleur pantalone, pantaloni tuta, tuta, and persona ben vestita.